"This recipe is similar to many others I've seen, but in my opinion, these are the BEST! They are also great for bake sales when individually wrapped." Preheat oven to 350 degrees F (175 degrees C). Grease and flour a 9x13 inch pan. Mix together the cake mix, melted butter and the egg. Stir in the chopped pecans. Press mixture into the bottom of the prepared pan. Set aside. In a large bowl, beat the cream cheese with the confectioners' sugar. Beat in the eggs one at a time until blended. 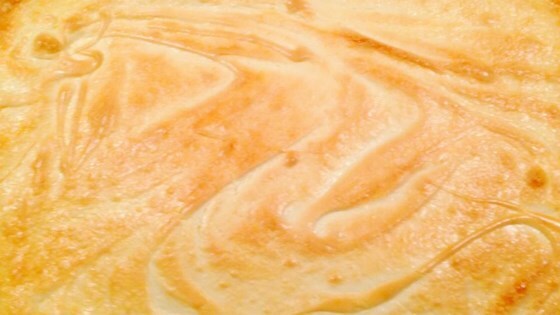 Pour cream cheese mixture over crust. Bake in the preheated oven for 45 minutes. Cool in the pan, then cut into squares before serving. Enjoyed by all, but I only used one package of cream cheese and 2 cups of confectioner's sugar for the topping and reduced the cooking time to 30 minutes. Turned out perfect. This is great. I added a can of cherry pie filling on top and it tasted just like cheesecake. Excellent! Richer and denser than most chess square recipes. My co-workers RAVED (and raved some more). I made the mistake of first tasting these when they were warm and it was too much but once refrigerated, they're better.